Three suspects in the Offa Robbery attack of April 5, 2018, have accused members of the police of complicity. Ayoade Akinnibosun, Ibikunle Ogunleye and Adeola Abraham told a High Court of Kwara, in Ilorin that their statements of admittance for the crime and implicating president of Nigeria’s senate, Bukola Saraki were obtained under duress; thus, forced to make the confessions. The Police counters their claim insisting they voluntarily wrote their statements. 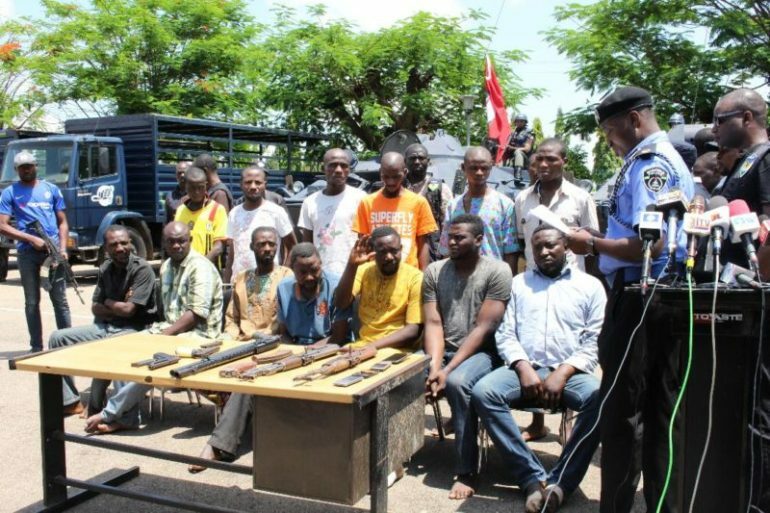 The police charged the trio with criminal conspiracy to rob the banks, robbery of the banks, conspiracy to murder; murder of nine policemen and other innocent citizens, and illegal possession of firearms. Akinnibosun testified in a trial-within-trial court session that he was tortured and threatened to make the confessional statement. He alleged that it was the Deputy Commissioner of Police, Abba Kyari, who asked him and the others accused to implicate Saraki. He and others (Ogunleye and Abraham) gave detailed accounts of how they were tortured and threatened by one inspector Vincent nicknamed ‘Mr Torture’ while in the ‘Theatre Room’ in Abuja. They alleged that it was Mr Torture who shot five people to death, including a Michael Adikwu for failing to indict them in the robbery incident. “They brought the late Adikwu to implicate us but when he said he had not met any of us in his life, Mr Torture shot him to death,“ Ogunleye said, specifically. Prosecution witness, Inspector Hitila Hassan denied the allegations, maintaining that the confessions werevoluntarily made. The Lead Prosecuting Counsel, Professor Wahab Egbewole’s application to tender the statements was objected by the defene counsel. Presiding judge, Justice Halimat Salman adjourned trial until March 25.